Athlete Stories and Race ReportsTell us about your race! Mountain bike training plans. Mountain bike coaching. There is no modified Whole30. You do it or you don’t do it – for 30 days – simple. The program is NOT designed to be a life style to continue forever. It is a restrictive elimination diet. The point of the Whole30 is to gain awareness – figure out how foods you used to eat are actually affecting you; create new habits, patterns and relationships with food; and learn to apply that knowledge in everyday, real-life scenarios for the rest of your life. The program isn’t meant to continue forever – it’s a tool to give you the knowledge and confidence to make good choices on your own. Think of the Whole30 like your dietary training wheels, giving you the support and structure you need while learning. And despite the fact that it’s scary to lose the structure and comfort of our “rules” and take on the big, bad, sugar-laden world all on your own – at some point for each of you, it’s simply gotta happen. – from The Whole30 website. Do I recommend this program to athletes? Sometimes but not often. The timing has to be right. I do NOT recommend following any restrictive elimination diet, including The Whole30, while training to race mountain bikes or while racing them (this is not the same as saying eat anything and everything). The metabolic demands of training and racing are too high to excel on a restrictive diet. Intensive mountain bike training is primarily fueled by carbohydrate. Racing is optimally fueled by low fiber high glycemic index carbohydrates such as sports drinks, bars and gels. These products may not be the healthiest thing to put down your gullet but there is no doubt they are the fuels that make you fastest in a race situation and get the most power to the pedals during intensive training sessions. When you are on a training plan building towards a specific race I do NOT recommend The Whole30 program. Review the top line in this post again at this point… For success you must set priorities that support your current goals. If your current goals are to train optimally and excel at racing, a Whole30 month is inappropriate. A recovery period from training and racing after the race season has ended. A period during the season, after a peak race when training is in recovery mode. In this situation it is most likely to be an abbreviated time period for 7-14 days not 30 days. When an athlete is on a forced rest period and unable to train due to an illness, injury, domestic or work situation. When an athlete is continually sick with an unidentified cause The Whole30 can be used to identify a possible food intolerance or allergy. When an athlete is eating such a garbage filled diet they need an intervention – you know who you are ;-). What benefits will an athlete get from doing The Whole30? A goal. Athletes thrive when pursuing a goal. During a rest period, whether scheduled or forced, an athlete can get lost and depressed without a goal. The Whole30 gives an athlete a goal to focus on, chase and achieve for 30 days while allowing their body time to recover. Avoid the dreaded post season weight gain. Once training drops into recovery mode, the habit of consuming high glycemic low fiber high calorie food leads to rapid weight gain. Following The Whole30 prevents this and allows athletes to return from a recovery period firing and fueling on all cylinders rather than having to start out the new season with a calorie deficit program to shed a spare tire. Supercharge recovery. The Whole30 is an anti-inflammatory diet. Dairy, legumes, alcohol, grains and sugar are foods which may cause chronic systemic inflammation. Racing and training tears a body down. Maintaining chronic inflammation with an inflammatory diet slows healing. 30 days on an anti-inflammatory diet can heal stubborn tendinitis issues, chronic joint pain and other issues an athlete can otherwise maintain long term. Reveal a food intolerance. Upon completion of The Whole30 your body is in a “clean” state. At this point athletes have the opportunity to reintroduce foods or food groups one at a time in order to identify any negative impact. Identifying and eliminating problem foods from the diet can create significant health gains, promote faster recovery, harder training, greater fitness and better race results. A single food may be decreasing health and performance. Change habits. Athletes with truly bad habits, like donuts for breakfast, McDonalds for lunch and Dairy Queen for dinner need a complete overhaul of their diet if they have any hope of reaching their athletic potential. 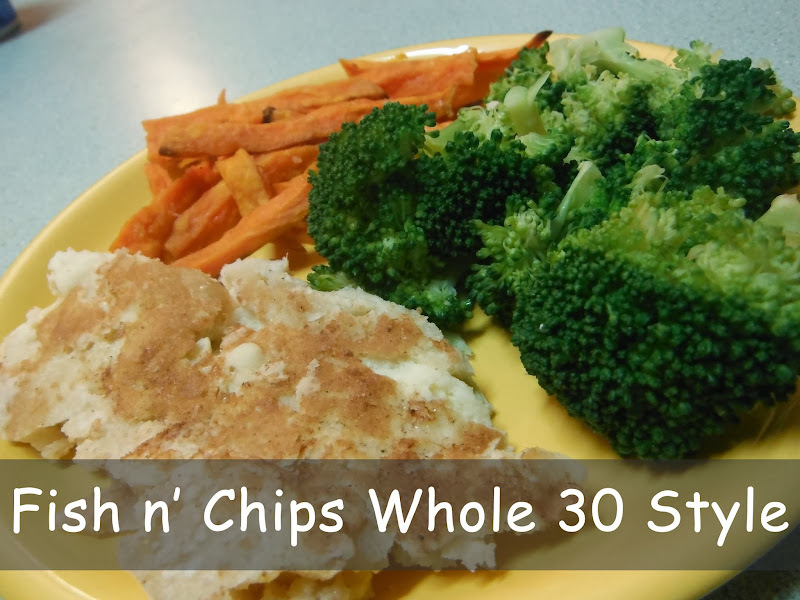 The Whole30 is a clean cut easy to follow program that provides a dietary intervention. Create a better new normal. Sometimes we get in a food rut eating the same foods over and over, lack culinary creativity, get lazy and develop a few small bad habits. Feeling slightly unhealthy and somewhat tired becomes our normal state of being. The Whole30 program may introduce new foods and recipes expanding the variety of our diet. It can enhance energy, increase sleep, reveal a food intolerance and surprise us by setting a new normal health standard at a higher level. As athletes we should always be striving for optimal functioning to support the best training and racing we can achieve. I invite any comments, questions or feedback. This is part #3 in the series. Share the stoke! Photos are published to our athletes in action gallery once moderated. Copyright © 2016 LW Coaching. All Rights Reserved. Designed by Dave, Lynda & bavotasan.com.